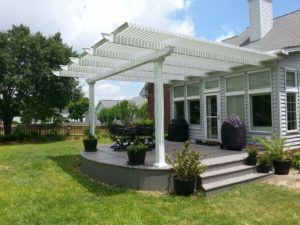 An attached pergola is a beautiful investment that will allow you to better enjoy your backyard at your home in Rochester, New York, or a surrounding area. At Pro Home and Sunrooms, we have proudly served the area since 1967 and will provide you with a high-quality TEMO pergola structure that will look glamorous attached to your home. For an even more shaded option, Pro Home and Sunrooms also offers operable pergolas that come with a built in motorized patio cover. This feature allows you to enjoy shade when you want it and sunshine when you don’t. For more information about the attached pergolas we offer to homeowners in Rochester, NY, and the surrounding areas, contact Pro Home and Sunrooms today. One of our knowledgeable team members will happily answer any questions you may have about our products.